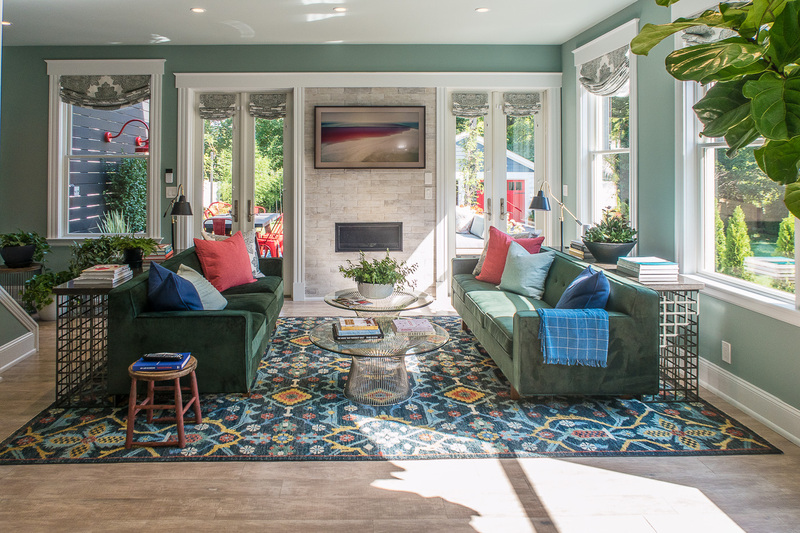 Touring the HGTV Urban Oasis House in Cincinnati! 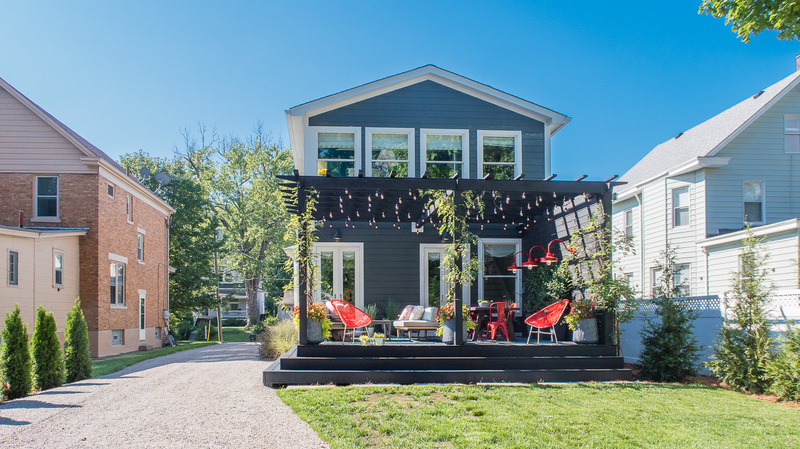 Last week I had the incredible opportunity to tour the newly finished HGTV Urban Oasis house in Cincinnati. 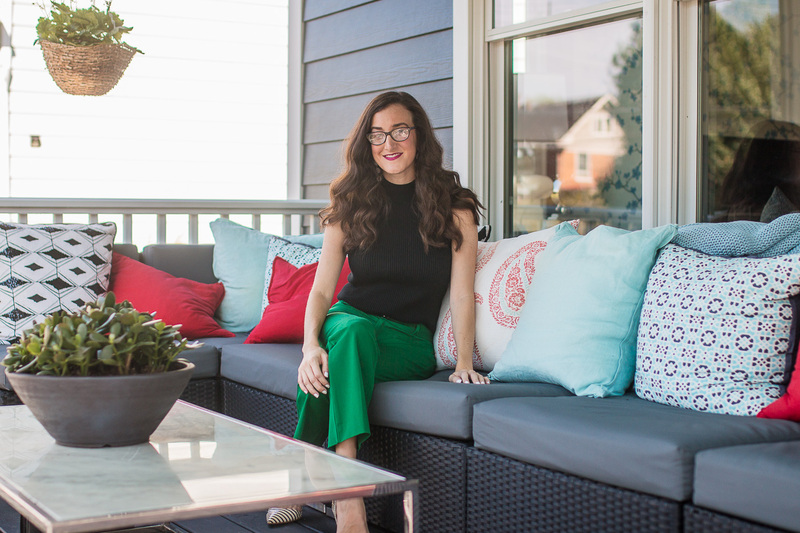 I was thrilled when I heard the home was located in Cincinnati this year, and even more excited when I was invited to tour the house, which is located in Oakley. Starting October 1st you can enter to win this gorgeous house! The house was torn down to the studs and completely renovated. When you walk inside you feel like you’re setting foot into a brand new house. The transformation is breathtaking. Each room had a totally unique design. The entire house flowed together so nicely. 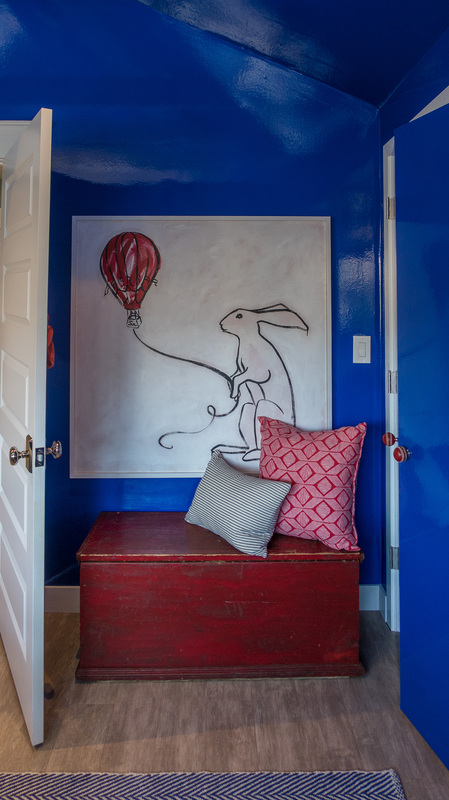 It’s amazing how a space can be totally repurposed and made into something beautiful. When we first walked into the house there was a more formal living room that had a blue theme going on. I’ve really started developing a love for this color. Also, I love how they mixed different shades of blue into something that flawlessly worked together. 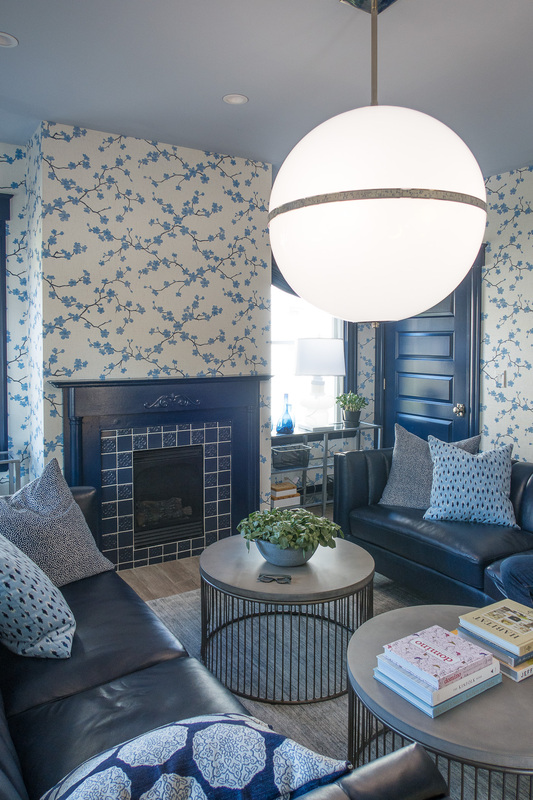 The floral blue wallpaper was so dreamy and elegant. Oversized light fixtures were a theme throughout the house, which is a detail I adore! 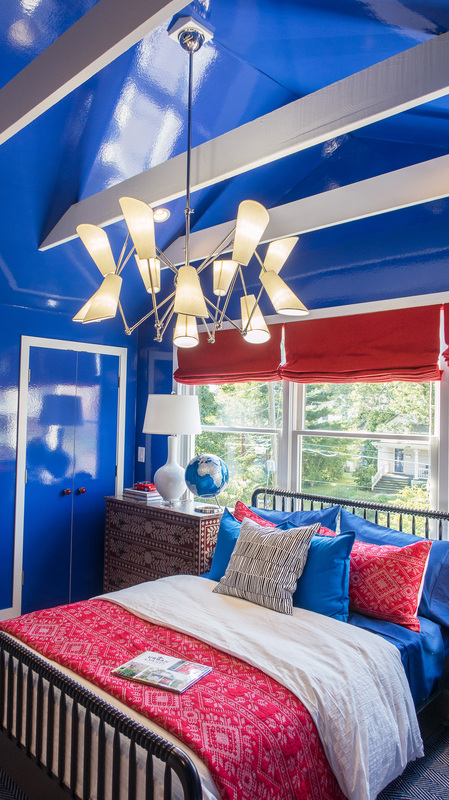 I love statement pieces and the lighting in each room definitely made a bold and stylish statement. 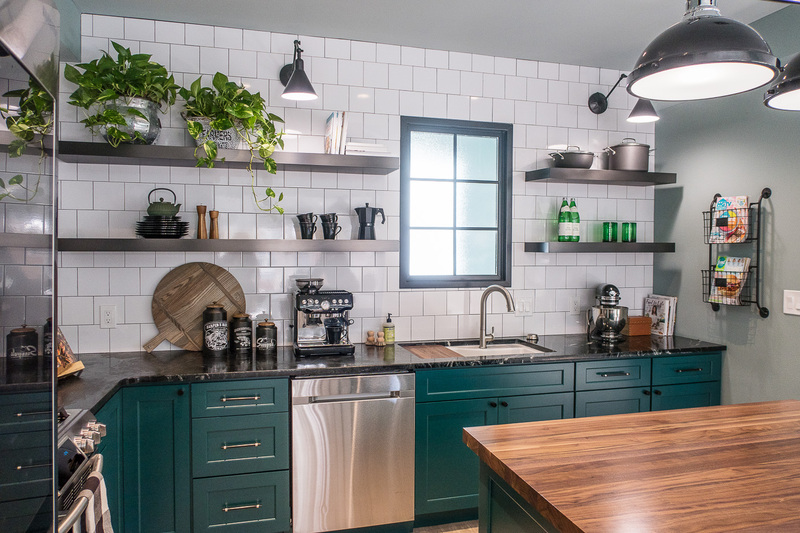 The kitchen was open and dreamy and featured an oversized white subway tile that fit perfectly into the space. The dining area and living room were all open with the kitchen, making it perfect for entertaining any number of guests. 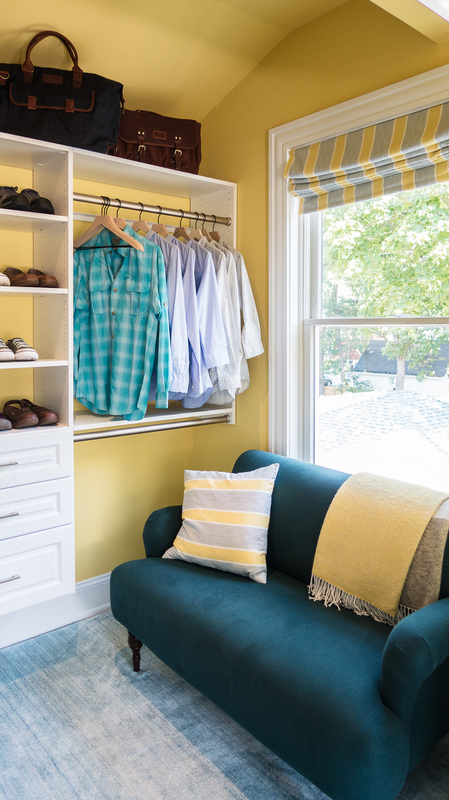 The master suite was spacious without being unnecessarily large. 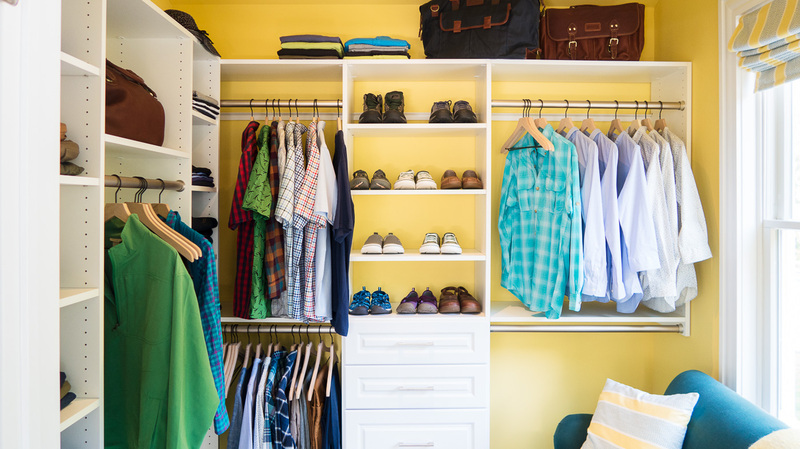 It included a bathroom and walk-in closet to die for. Each room also had tons of windows, allowing for plenty of natural light to spill into the house. I love when you don’t need to have lights on because the sun fills a room. 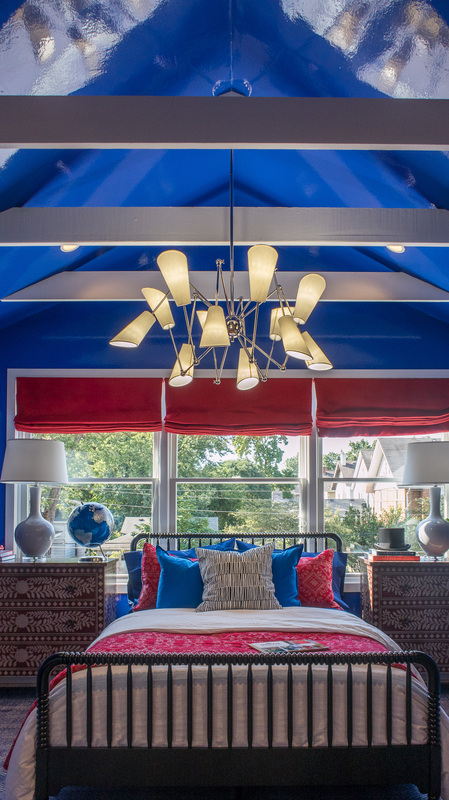 The cathedral ceilings and beams also made for a bold and inviting accent! 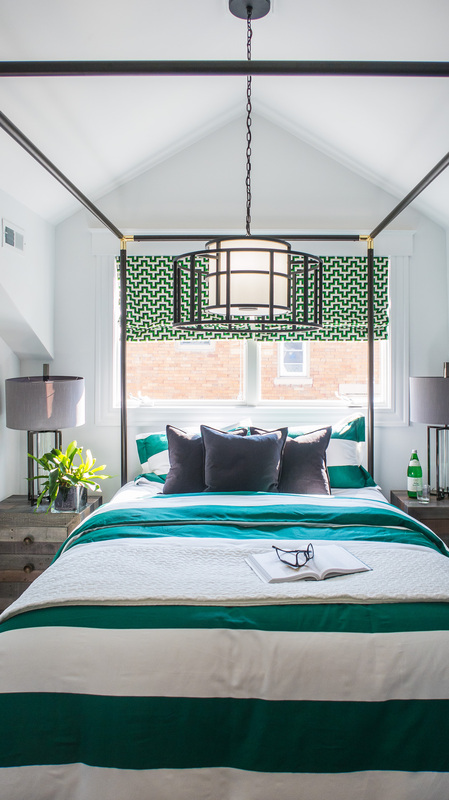 with black, white and green accents. These colors together are a favorite of mine, and I think there’s something so sophisticated and elegant about the palette. 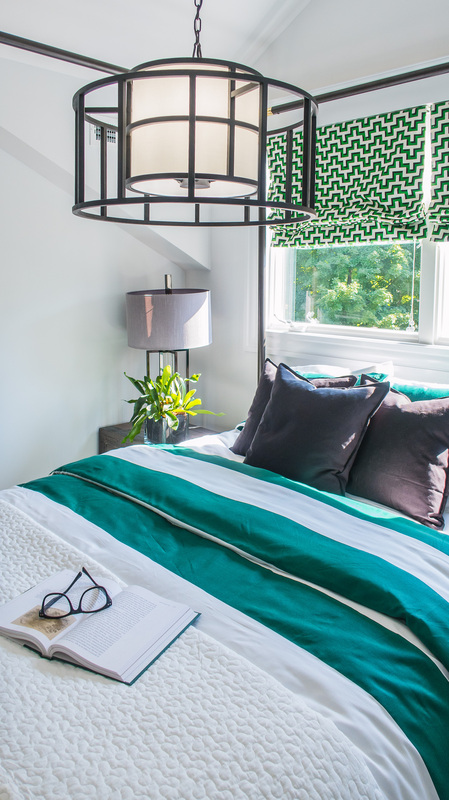 The striped bedspread catches your eye the second you enter the room and the black metal bed frame was the perfect accent! 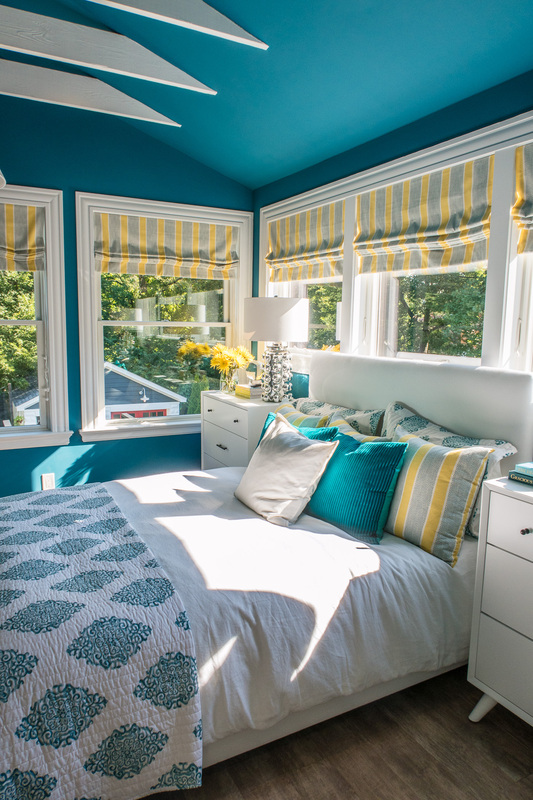 The third bedroom was a glossy blue dream! 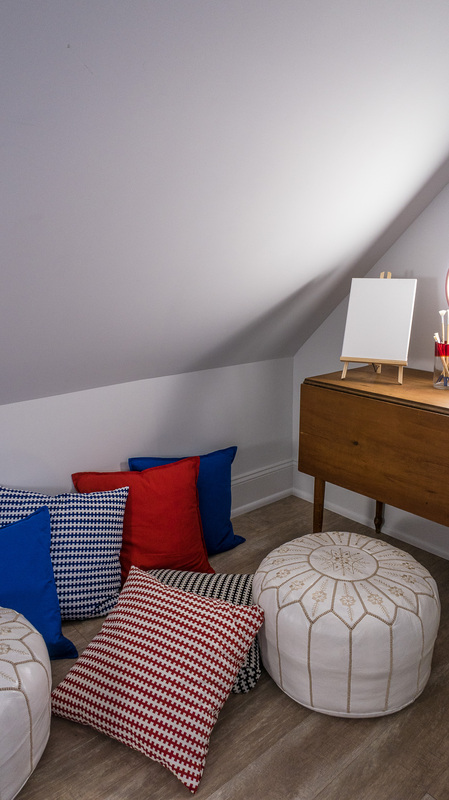 The room felt very patriotic with the red accents, and I could have easily spent all day cozied up in here. 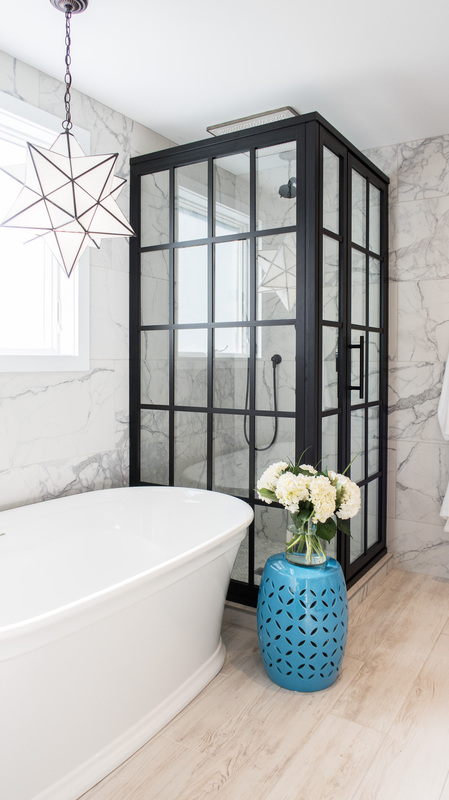 It was very polished but inviting, and there’s also a secret little nook tucked away in what looks like a closet! 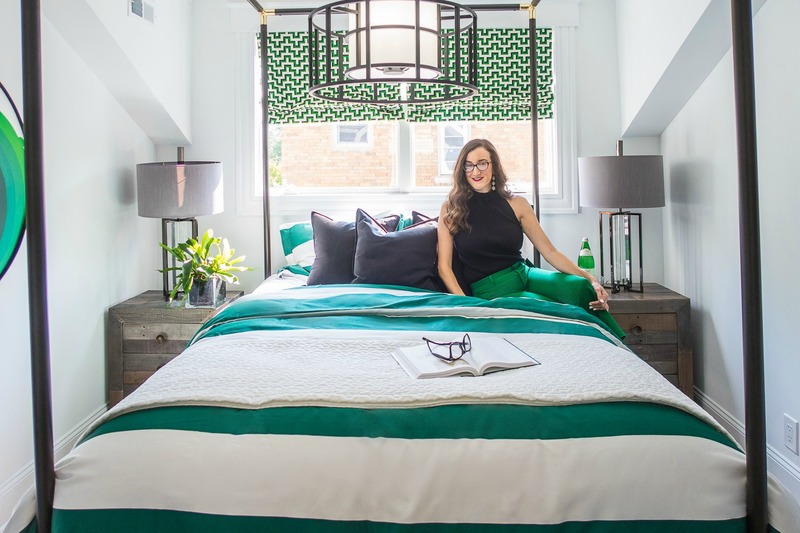 Clopay is a sponsor of this year’s home and it’s extra special since they the door manufacturing company is headquartered here in Cincinnati. When you first spot the gorgeous doors they stand out. 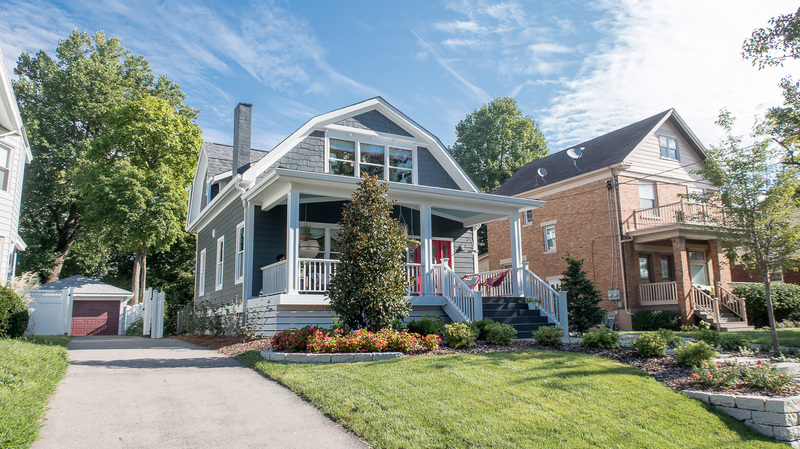 The red door was a gorgeous choice and is the perfect “Cincinnati” color to really make the house pop! 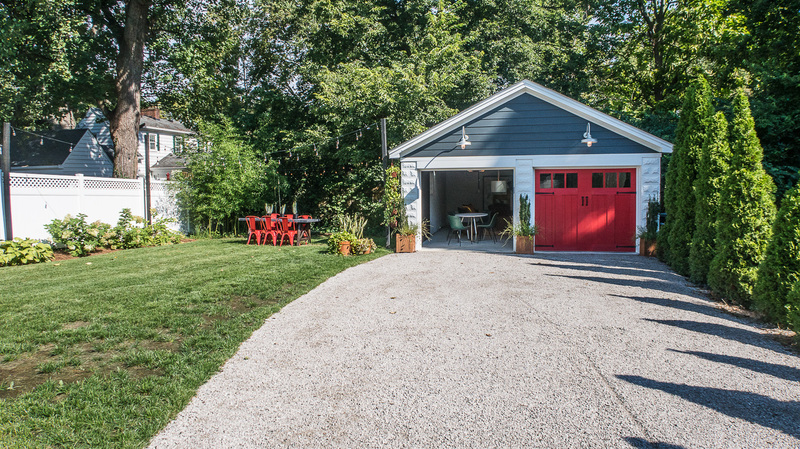 The garage doors are carriage style and although they look like they swing open they actually function with an automatic opener and go up and down. 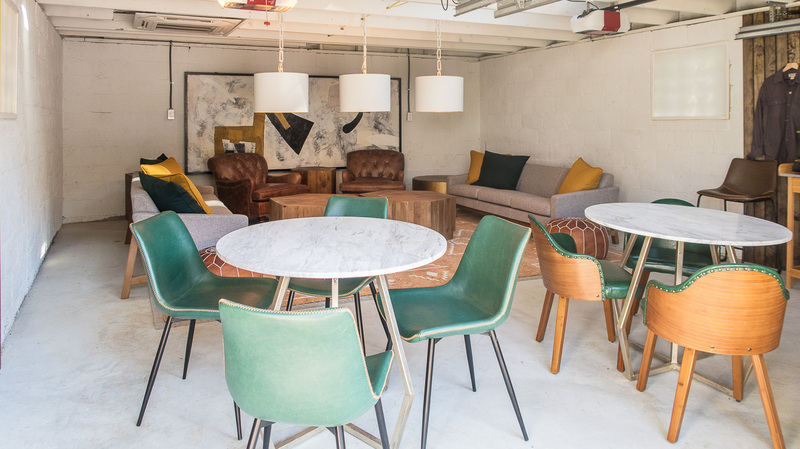 The garage itself was transformed into the perfect hang out space, with plenty of places to sit and mingle. The bathrooms in the house were so dreamy. I could picture putting each of them into my dream home. 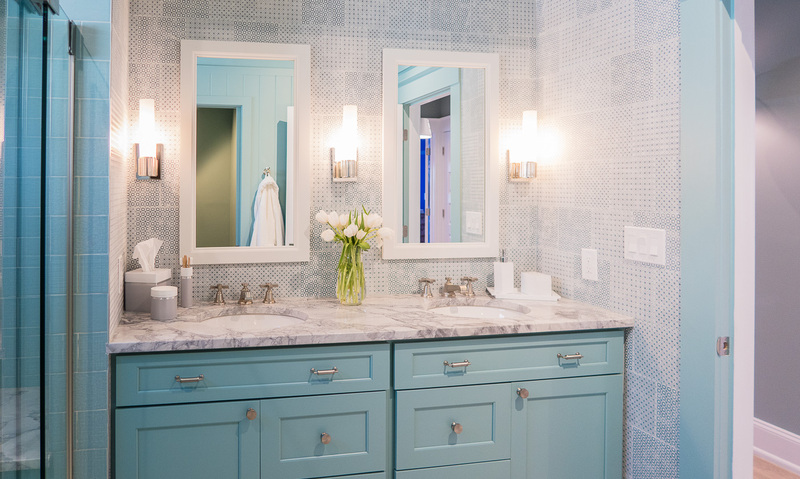 Also, I loved this spacious bathroom with a double vanity and blue cabinets. 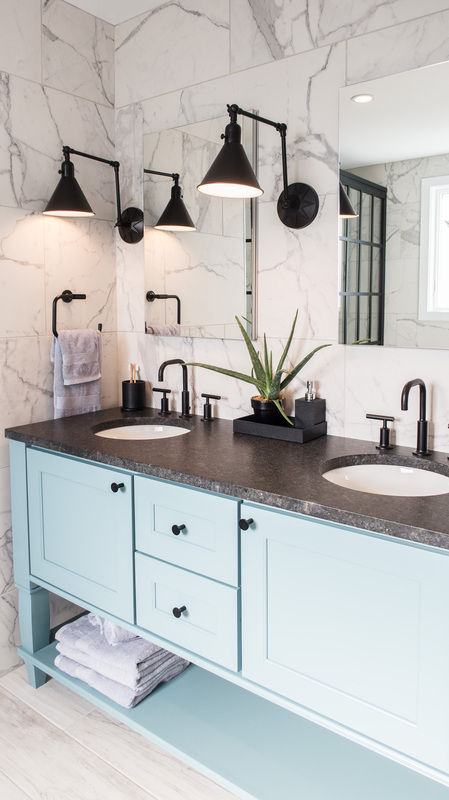 I never thought I needed powder blue cabinets until I saw these! I almost missed this charming little powder room on the first floor and am so glad my mom pointed it out! This is my whimsical bathroom dream come to life. 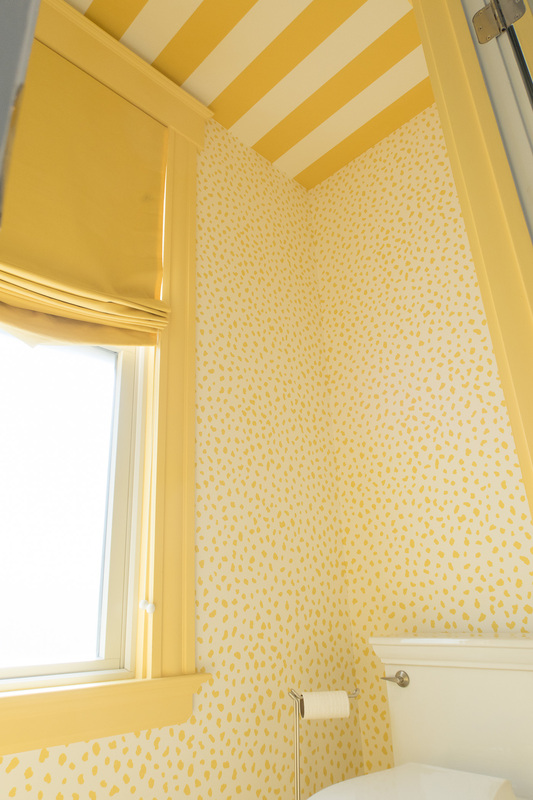 The yellow and white paired together and the mixed and matched wallpaper is fun and charming. 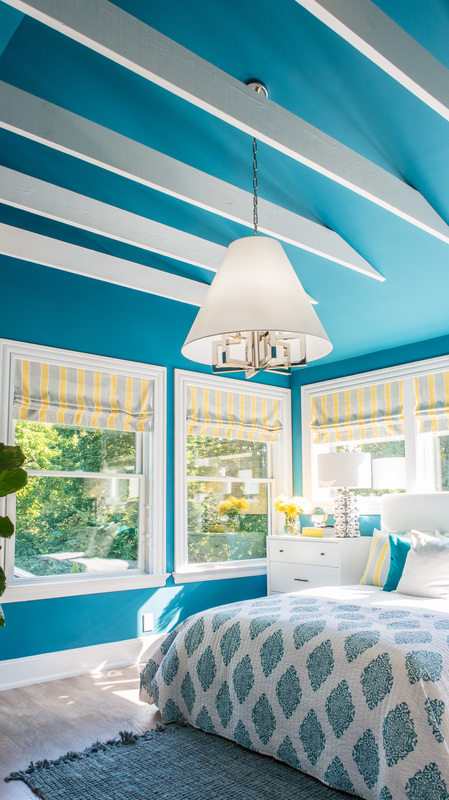 There is also striped wallpaper on the ceiling – need! 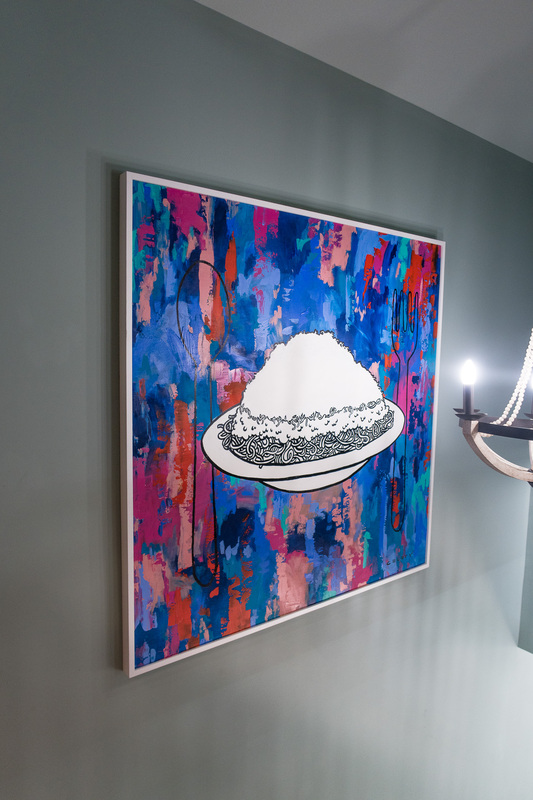 This custom made Cincinnati chili artwork caught my eye! 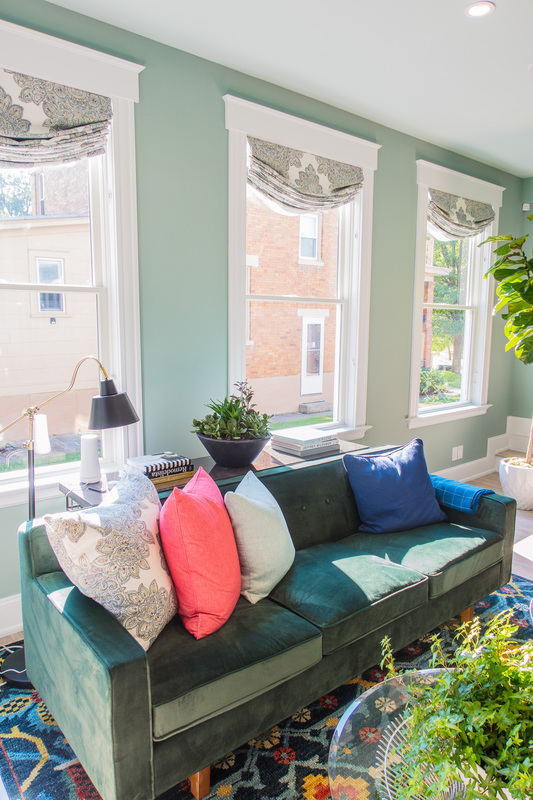 I had an incredible time touring the new HGTV Urban Oasis house in Cincinnati and cannot wait to see who the lucky winner of this masterpiece will be!